Artists living in New Westminster are invited to submit proposals for a two–dimensional piece of artwork to be painted by the community on a selected site in New Westminster. The project “Paint New West Beautiful” includes painting a 5 foot high by 30 foot long stretch of a wall on the fire station in the West End of New Westminster. Interested community members can participate in painting the wall, including children. The project goals are to beautify an area of the City and to engage citizens in community and collaborative art. 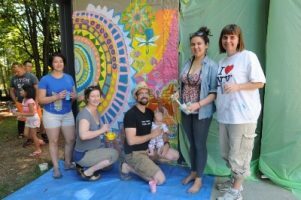 Previous mural projects have taken place at sites in downtown New Westminster and Moody Park. The Call seeks proposals for a scaled, two–dimensional work that depicts a garden scene and is reflective of the local ecology and community. An aspect representing the fire station, specially the historic Hyack Fire Truck, would be appreciated. The work should be simple enough for the community to replicate on a larger-scale, vertical structure. This Call is open to emerging and established artists living in New Westminster. 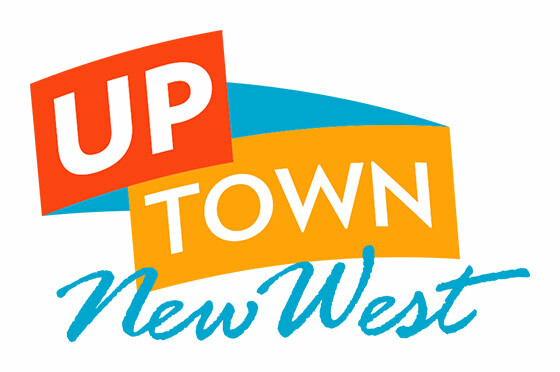 Paint New West Beautiful will take place September 16 and 17 from 11:00 am – 2 pm. While it is not a requirement for the artist to participate during the event, it is strongly encouraged and much appreciated. The Arts Council of New Westminster will provide an honorarium of $300 for the selected work. The artist must agree to be recognized on publicity and materials for the event.